Sustainability and environmental issues are becoming more prominent and widely acknowledged. As a result, leading industries are being more transparent about potential environmental impacts of their products to meet the public’s increasing demand for environmentally responsible materials. The same is true for the building/construction industry, where architects, designers, engineers, specifiers, and building owners are increasingly interested in developing and constructing environmentally sustainable projects. It is no longer enough for design professionals to say that a building is environmentally responsible—they also need to prove it. Certifications like the U.S. Green Building Council’s (USGBC’s) Leadership in Energy and Environmental Design (LEED) have developed a set of credits for projects to achieve to demonstrate true sustainability. One potential contributor to these certifications is the availability of sustainability data and documentation for various materials and products used in building designs. To meet the criteria of green building certifications and the increasing demand from consumers for sustainable products and buildings, the North American steel industry is focusing on transparency in documenting the potential environmental impacts of building construction products. One approach to conveying the environmental properties of construction products is the environmental product declaration (EPD). EPDs go beyond reporting single-attribute sustainability to summarize the results of a life cycle assessment of the product, from the extraction of natural resources (e.g. mining processes) through to the production of a finished building product. Just as nutrition labels present concise information to help consumers make educated choices, EPDs help construction professionals make more informed material decisions. The North American steel industry has been voluntarily collecting and providing environmental impact information for more than two decades. Consistent data collection is an important first step to improving industry transparency. The steel industry and construction product manufacturers have developed a number of EPDs throughout the past year. The development of each one followed a strict protocol, and every step in the process was governed by international standards. Before gathering information to develop an EPD, researchers must engage with a program operator—a company or association that guides the process and ensures it adheres to the relevant standards. Once the program operator is selected, a set of product category rules (PCRs) is identified to specify the type of information to be included in the declaration, where the data will come from, and required data quality criteria. If an existing applicable PCR does not exist, one must be created by working with a group of interested parties. Each PCR is submitted to experts for independent peer review prior to publication. it affects the environment, EPDs for steel construction products provide comprehensive information on all significant environmental impacts, but some other industries may choose to overlook impacts that are significant to their operations, such as the impact of production on natural habitats and biodiversity. Once research is completed and declarations are created, multiple steps of peer review ensure data accuracy and reporting before the EPDs are made available to construction professionals. EPDs and other sustainability reporting tools help construction professionals make better-informed decisions regarding the materials and products they select. Some architects have also begun to employ whole building life cycle assessments (LCAs), using data from various product EPDs and other available life cycle inventory (LCI) data to assess potential environmental impacts early in the design process. With industry-wide EPDs available for most steel building product categories, the steel industry is expanding available data to help building design professionals better understand the environmental impact of a building before it is constructed. Construction professionals can also use EPDs and other transparency tools to gain LEED credits for building projects. Credits for LEED v4—the version required for certification beginning November 2016—are available for a number of steel construction products. By simply providing an EPD for building products, architects can earn points toward satisfying the EPD-specific credit. Several additional Materials and Resources (MR) credits can be achieved by disclosing and optimizing materials’ environmental and human health impacts. EPDs and other transparency resources can enable construction professionals to demonstrate the products used in their building projects are environmentally responsible. 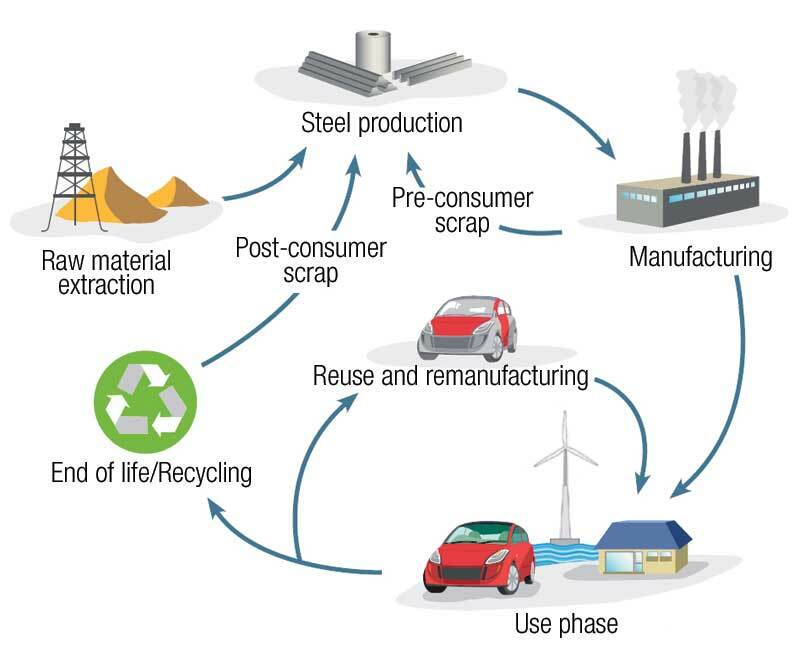 Partly due to the availability of EPDs and to its inherent characteristics, steel offers immediate advantages by helping construction professionals earn LEED v4 credits in categories such as recycled content, life cycle impact reduction, sourcing of raw materials, building product disclosure and optimization, and construction and demolition waste management. Environmental product declarations (EPDs) go beyond reporting single-attribute sustainability to summarize the results of a life cycle assessment of the product, from the extraction of natural resources to the finished building product. The first step toward improving industry transparency is creating a culture of consistent data collection. The North American steel industry has been voluntarily collecting and providing environmental impact data for more than 20 years, with plans to expand its data-collection efforts in the future. In addition to researching the impacts of steel construction products in the United States, the industry is also examining the effects in other areas of the world. Due to regulatory and operational differences for steel producers in other regions, as well as differences in steelmaking technology, the environmental impact of steel varies greatly by its production location. By considering the production location of steel products, construction professionals gain a deeper understanding of how material-sourcing decisions can affect their projects’ life cycle environmental impacts. While data collection and EPD development efforts continue, the steel industry is also looking to the future of the construction industry, considering how changes in technology and policy drive new needs for resources for construction professionals. One example is the emergence of health product declarations (HPDs). Similar to how EPDs address environmental impacts, HPDs concentrate on the effects building products have on human health and safety. Looking to LEED v4 requirements, additional building product disclosure and optimization credits can be fulfilled by producing HPDs or similar documents for products used in buildings. 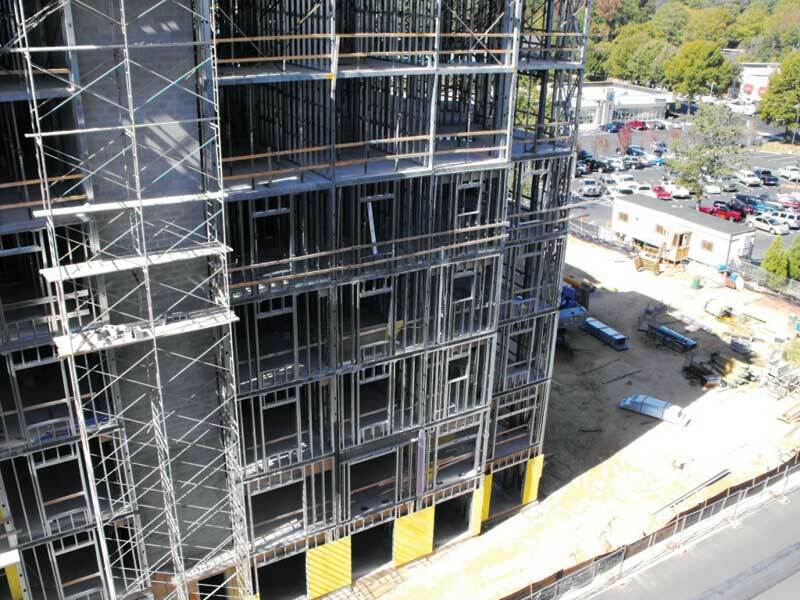 Beyond EPDs and HPDs, the transparent use of steel construction products is becoming easier with the development of more advanced and integrated LCA tools for architects. Building information modeling (BIM) programs are beginning to directly embed environmental data in building designs to help assess life cycle environmental impacts early in the materials decision-making process. This type of technology, along with the increased availability of life cycle environmental impact data, will create a more efficient process for architects to evaluate the environmental impacts of materials, products, and entire buildings at the time of material specification and early design. An increased knowledge and understanding of these resources will lead to the design of truly sustainable buildings in the future. Construction professionals and the general public are becoming increasingly aware of the need for sustainable development. Given this, and the continued improvement in tools for understanding how materials, products, and buildings affect the environment, it will be exciting to witness these innovations and resources used by architects, designers, and specifiers to design the sustainable steel buildings of the future. roll-formed wall and roof panels (MBMA). 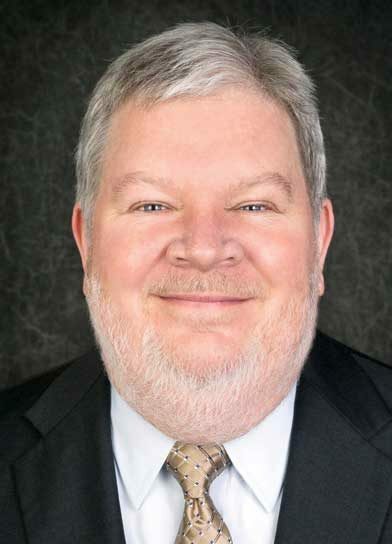 Mark A. Thimons, PE, LEED AP, is the vice-president of sustainability for the Steel Market Development Institute (SMDI), a unit of the American Iron and Steel Institute (AISI). He is responsible for overseeing the Steel Recycling Institute (SRI), and research projects demonstrating the life cycle advantages of steel in all markets. Thimons serves on the board of directors of the Sustainable Buildings Industry Council (SBIC) and the Cool Roof Rating Council (CRRC). He can be contacted via e-mail at mthimons@steel.org.